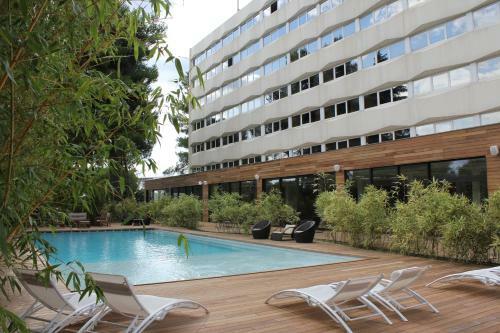 Offering an outdoor pool, C Suites is a urban resort located in Nîmes just 3 km from the Arenas. This fully renovated hotel is set in a 1-hectare tree-filled park with a tennis court, a boules court and a children's playground. Offering an outdoor pool, C Suites is a urban resort located in Nîmes just 3 km from the ... 152 rue claude nicolas ledoux, 30900 Nîmes, France – Show map.